Every city has an art scene, an almost invisible world of artists who set the pace for the nation’s creativity. 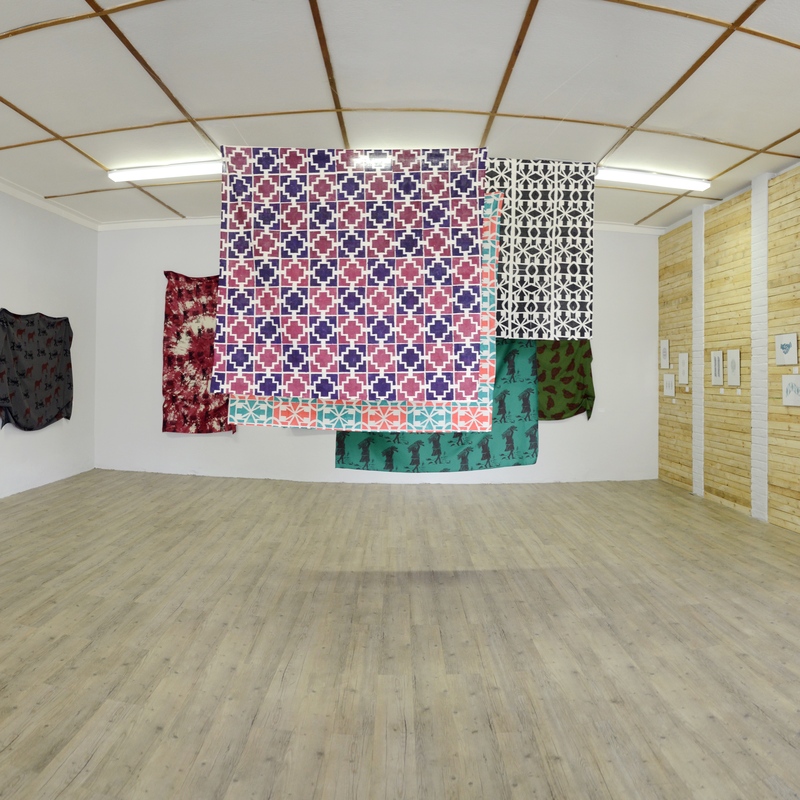 For visitors to Namibia’s capital city, tourists who want to experience its artistic side, or locals looking to take part in the creative community, make your way over to the following art galleries and centres for exhibits, permanent collections and atmosphere to inspire your artistic side. 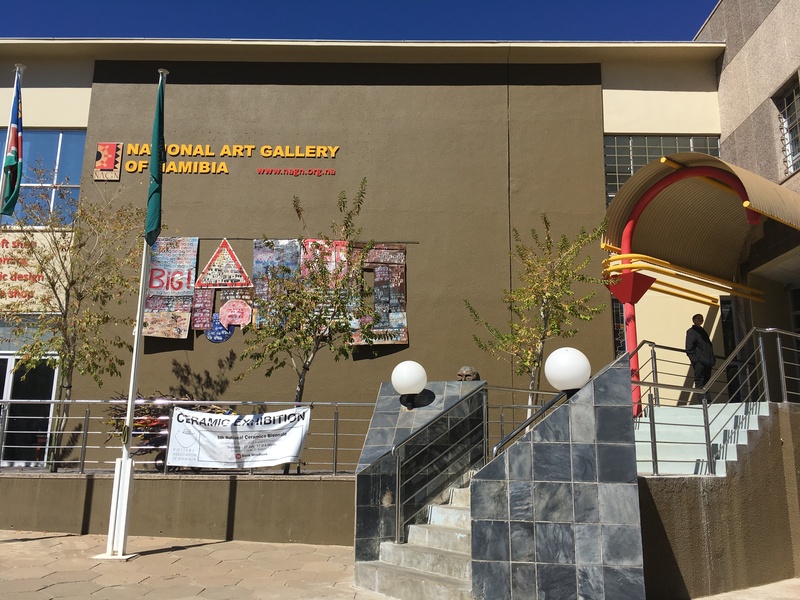 The National Art Gallery of Namibia (NAGN) is the hub of art in Windhoek. Situated in the centre of Windhoek along Robert Mugabe Avenue and next door to the National Theatre of Namibia, the focus of the gallery is to bring art into the public sphere, to get more Namibians, and foreign visitors, to enjoy artistic talent available in droves. The permanent collection houses work by some of Namibia’s most talented and well-known artists, including John Muafangejo. If a visit to an art gallery seems too formal, look out for the NAGN’s social, Happy Art Hour. The event fuses culture with fun in an experience that involves mingling with Namibia’s cool artsy crowd in a relaxed atmosphere. Happy Art Hour is the perfect opportunity to take in the works on display after hours. 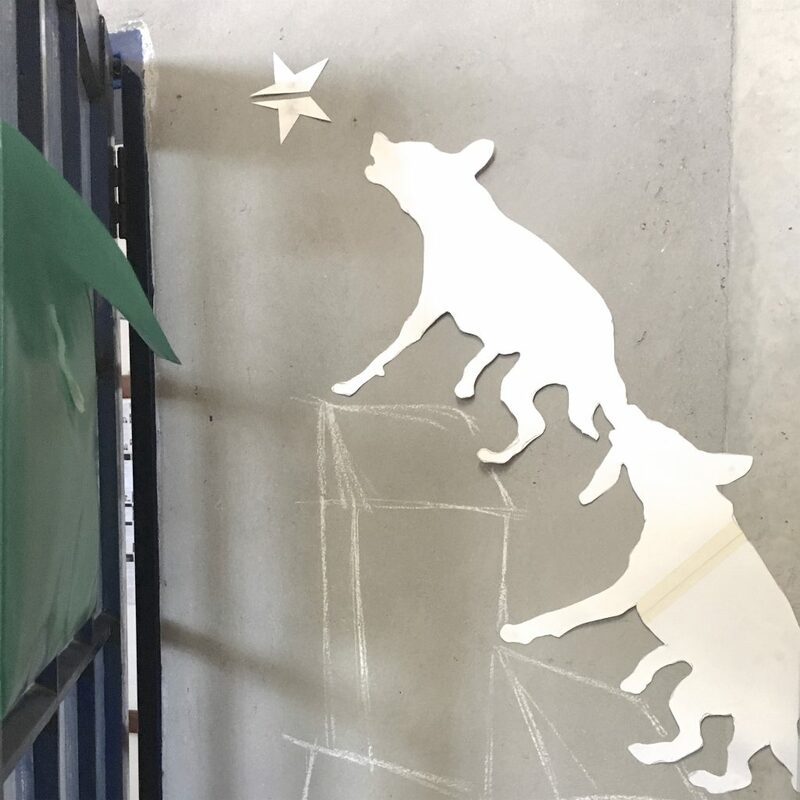 Follow the NAGN’s Facebook page for updates on the next Happy Art Hour or sign up for their newsletter here. One would not think that the place to find Namibian artwork is in a French cultural centre, but that is exactly where you can. The Franco Namibian Cultural Centre (FNCC) not only brings the French culture to Namibia but also makes a point of showcasing Namibia’s culture. The centre encourages the development of a Namibian artistic consciousness through exhibitions, movies and events. The gallery space does not have a permanent display of work – if one ignores the art pieces dotting the walls throughout, which are lovely to admire all the same. 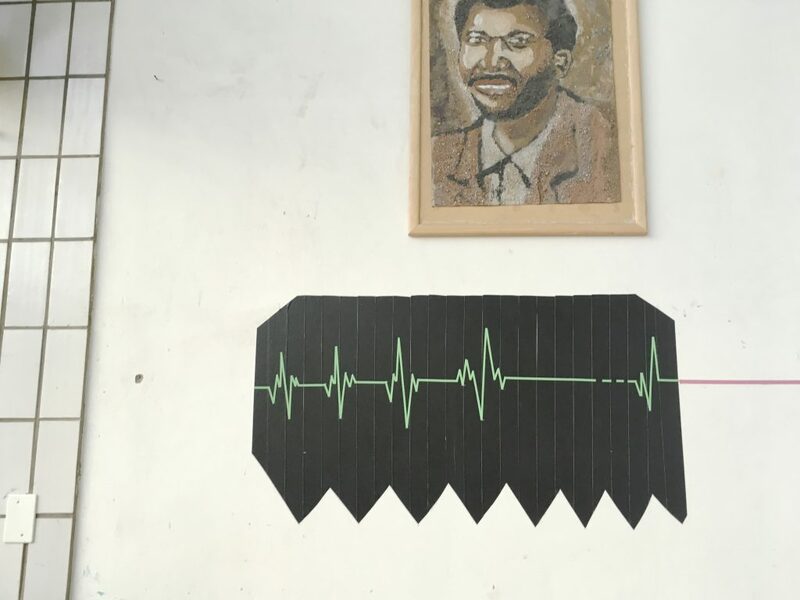 However, there’s usually something going on, like a local artist’s passion project, an exploration of issues like gender-based violence or an exhibit on the beauty of black hair. Check out the events taking place at the FNCC. Entrance to John Muafangejo Art Gallery. Housed in a nondescript building made of grey concrete slabs, the Katutura Community Art Centre (KCAC) is noticeable from the street because of the groups of students ambling around. 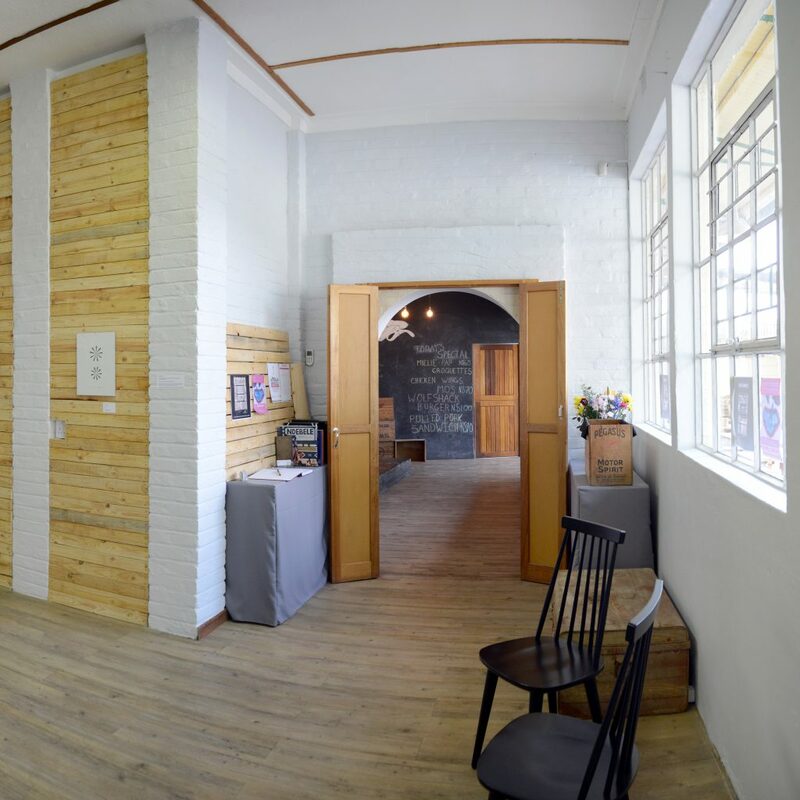 The centre breathes fresh creative energy into a space that was once characteristic of the South African regime’s indenture system in Namibia. 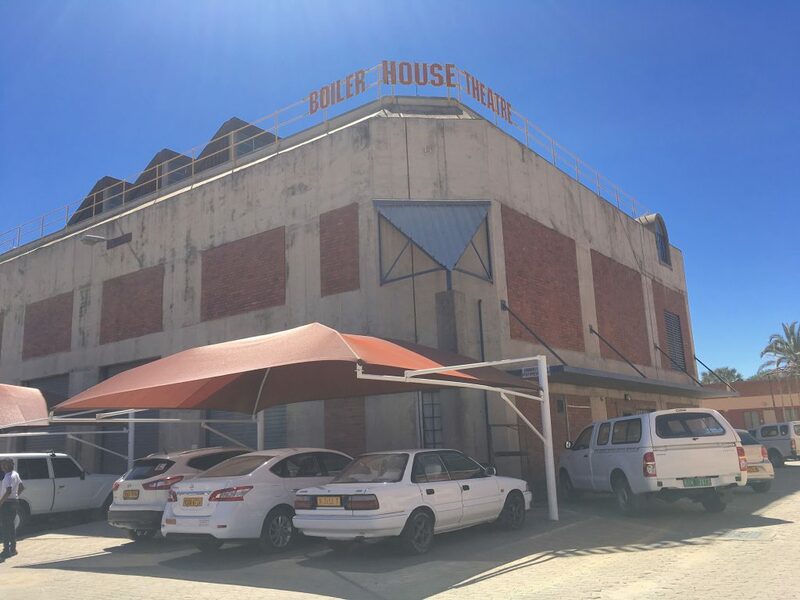 What used to be a kitchen and mess hall for mostly Owambo labourers from the North is now home to the College of the Arts (COTA) Katutura campus and the John Muafangejo Art Centre (JMAC) and gallery. 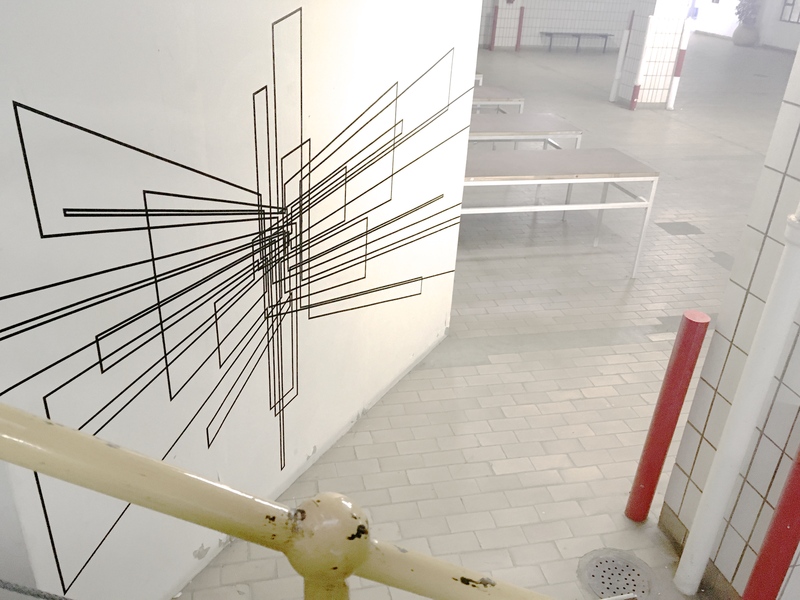 KCAC is worth a visit to experience how a once bland, anonymous structure reminiscent of the Communist era underwent a slow metamorphosis that today subtly inspires the visual senses. The great thing about art campuses the world over is the inherent energy, because where art students are, one is bound to be entertained. 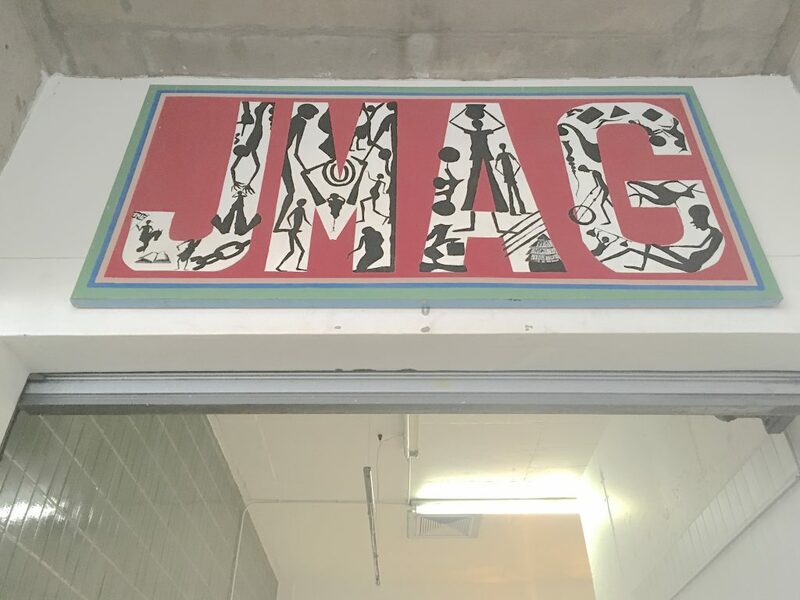 Ask for a visitor’s pass at security and follow the stairs up to the first floor where the John Muafangejo Art Gallery, tucked in a corner, continually has exhibitions of works by students as well as more well-known Namibian artists such as internationally renown Julia Hango. Visit KCAC in Katutura at 7 Leonard Auala Street (check google maps for the precise location). Find out more about JMAC here. Situated inside the quirky and always busy Namibia Craft Centre in the centre of Windhoek is the Omba Gallery. You cannot go wrong with this one. There is always something to see, from the recent showcase of 30 years’ worth of crafts from House of Anin to the intricately beaded Art-i-San products created by the San people of eastern Namibia. Many of the pieces on display are available to purchase. The Omba Gallery forms part of the Omba Arts Trust, an NGO with the noble aim of uplifting Namibian rural communities through crafts. Find out more about the Omba Arts Trust. The newest addition to Windhoek’s art scene comes in the form of the StArt Art Gallery, the brainchild of founders Gina Figuera and Helen Harris, both former National Art Gallery of Namibia ninjas. The ladies realised during their stint with the NAGN that there was a gap in the Namibian art scene, that what was missing was a commercial art space that could connect interested buyers with local artists. And that’s exactly what they’re trying to accomplish with StArt.